Photo Courtesy Xavier Serrano. He called the album "an amalgam of reflections on the monumental changes that occurred in my life the passed few years" in an interview earlier this year. A set of church bells are ringing long before the guitar cuts in. They fade into each other, tongues clanging close to silence. A soft, gentle carpet of percussion rolls out underfoot. The bells dissolve completely. Drums flutter and spurt, and become a double-chambered heartbeat. 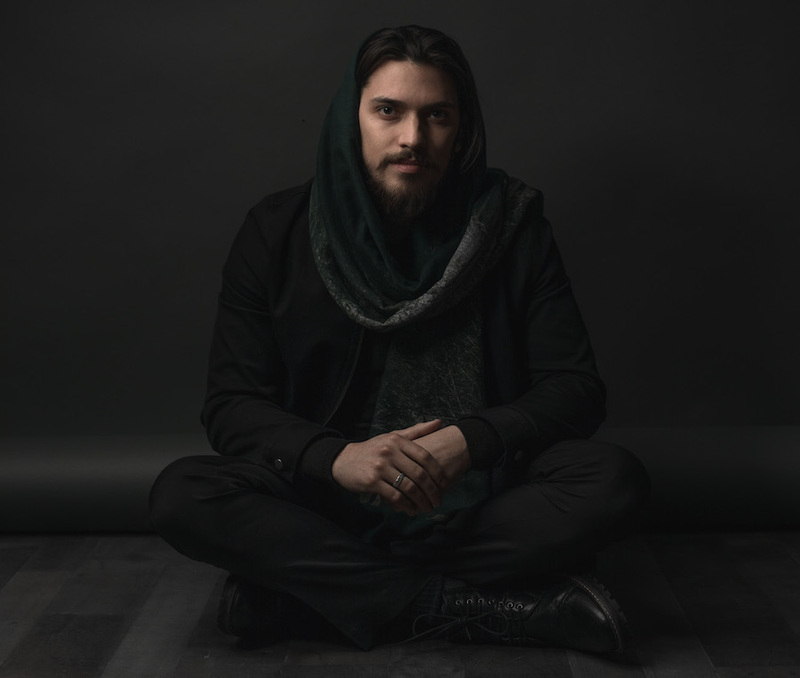 “Run For Your Life” sets a tight and ethereal tone for Bell Chimes Of Yesteryear, Serrano’s first solo album after years of playing with Kindred Queer. On Feb. 13, the 27-year-old musician will hold an album release party with New Haven band Shy at The State House. Tickets and more information are available here. Ultimately, he broke with that family, drafting songs with “an orchestral vision” already in his head for the album. Working with musician Sam Carlson of Sans Serif Recording, Serrano recorded bare-bones, acoustic versions of his pieces, then layered instrumentals and additional vocals over them. When he was close to releasing the album, he chose to stick with his real name, instead of choosing a new moniker or alter ego under which to perform. The result, which Serrano took close to a year to craft, write, record and tweak with Sans Serif, is a gift. From that first mingling of bell and guitar, he is beholden to no lyrical master, letting both his vocals and his lyrics wind through songs with an unhurried, breathy self-confidence. When, on the first track, we are cued in with church bells, it seems like the artist is preparing us for a spiritual journey. They ring long and clear, the only sound for seconds before everything else enters the fray. But the sublimity is less like church, and more like breathing. We are transported by these vocals, which soar and dip triumphantly, and sometimes break from speech into whistling and wordless melody. One track might be smooth and understated, the next with twangy strains of folk and country running through it. Or we are surprised by sounds we don’t expect on a polished album, like a car horn and distorted laughter in “All My Dollars,” mixed right in with full-bellied sax. Steve Walters Photo courtesy of Xavier Serrano. At times, Serrano channels other musicians—Sam Beam of Iron & Wine, Robin Pecknold of Fleet Foxes and Will Toledo of Car Seat Headrest, with hints of Ayurvedic Chanting sprinkled in there. But mostly, and much to our delight, he is entirely himself. Sometimes, he sings with no words at all, his voice taking flight. On “Trapped,” we delight as it grows into a muscled thing, blooming from mellow to decidedly not as guitar follows suit. It’s easy to love because it’s honest, almost to a fault. Midway through the album, nothing has prepared us for the understated grace of “Darling, You Were In My Life,” Serrano sifting through his memories as he sings “I am dangling on the thread of the thread/of the sweater we shared.” His voice is clear as a bell on a winter’s day, and inside ourselves, we feel every bad breakup we have ever had. That it’s going to be okay. It really is. It’s just not right now. Or there’s “Efharisto” (“thank you” in Greek), which has a slow build that’s at once meditative and euphoric. As Derrik Bosse comes in with percussion, lyrics cede to what’s multiplying in the background. Serrano presses on, his voice emboldened as he reaches close to the two minute mark. It blooms, the Greek on his tongue like a prayer. So too in the folksy and existential “As A Puerto Rican,” recorded with an echo that makes us feel like Serrano is right there in the room with us, singing his heart out at a nearby mic. As it rises, his voice catches, hopping between statements that feel both totally banal and profound. Now that he has finished the album, Serrano is planning to work on new, compatible material. In the midst of recording last year, he decided to make Bell Chimes Of Yesteryear the first of three albums in a series, to be released in order over the next year and a half. 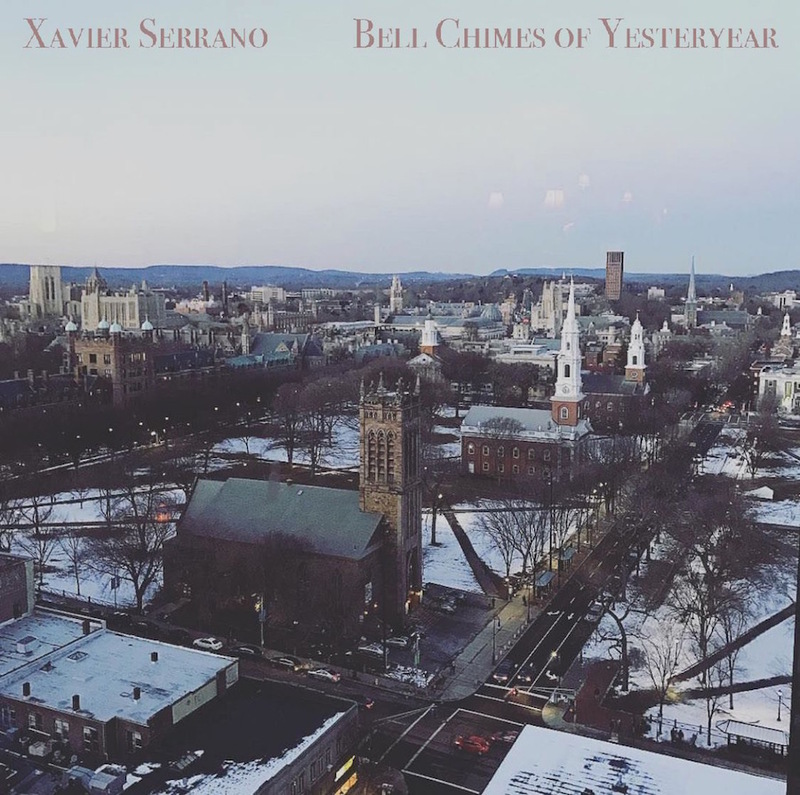 Xavier Serrano will be holding a concert and release party for his first solo album, Bell Chimes Of Yesteryear, at The State House on Wednesday, Feb. 13. tickets and more information are available here.